What makes L’Opéra a place to be? 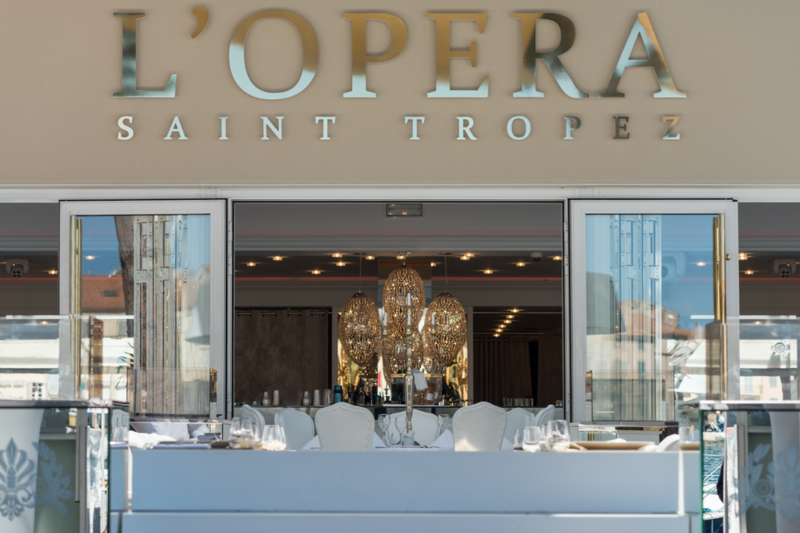 Saint Tropez is famous for its party-restaurants and L’Opéra is the most popular right now. Yes, the food is not bad but obviously not the reason why you come here. Dinner shows, which we normally don’t like, are a little bit more creative. But what makes L’Opéra really special is the time after dinner. The party mood after dinner feels almost like that of a club. With the help of a great sound system and elaborate light effects, the DJ soups up the atmosphere with summer hits. Often the diners are dancing at many of the tables and a fizzy tidal wave of champagne orders are flooding in. In the high season when all the crazy party people are in Saint Tropez. The party-crowd meets for dinner and keeps its tables for the party afterwards. We recommend that you book a table around 11 pm. The best tables are inside. Sitting outdoors is pleasant, but it does not have the same party atmosphere later on that you will enjoy inside. If you were not able to get hold of a table reservation, you can drop by later for the party anyway.